A high school tennis player turned lazy adult, Erin didn’t start running until her early 30s. After her first race, the 2008 Philadelphia Half Marathon, she quickly got hooked on training and racing. Over the past decade, life has been crazy full - one marriage, two daughters, three dogs, and four cross-country moves –with running a source of fun, friends, and personal challenge throughout. Erin is working toward collecting all six World Marathon Majors, with a stretch goal of finishing each under 3:05. 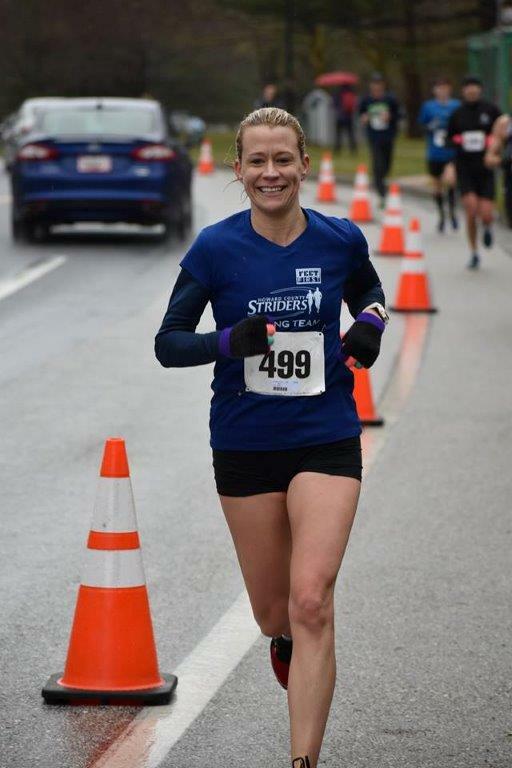 Returning to training following her “masters pregnancy,” Erin is now chasing new Masters PRs, and hopefully some lifetime PRs too!